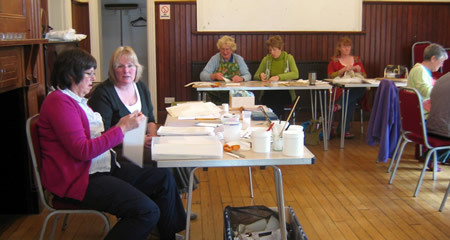 Chrissie and Diana were back with us today with a project entirely different from our previous workshop with them. 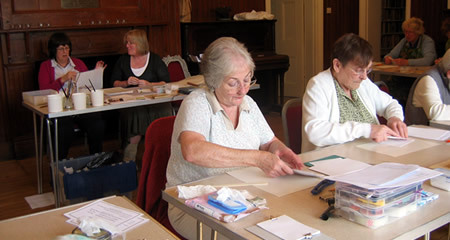 We were all a bit slow - except Felicity, who you can see calmly knitting in the background as she has finished her step of the process while the rest of us struggle. 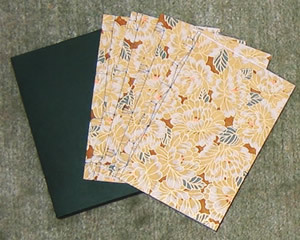 We made 4 little Japanese bound booklets with sewn bindings and folded pages - each one slightly different. They fit into a little cover - which I finished off once I got home.